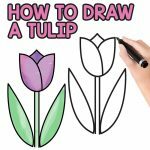 Excited to learn a new thing you can draw? 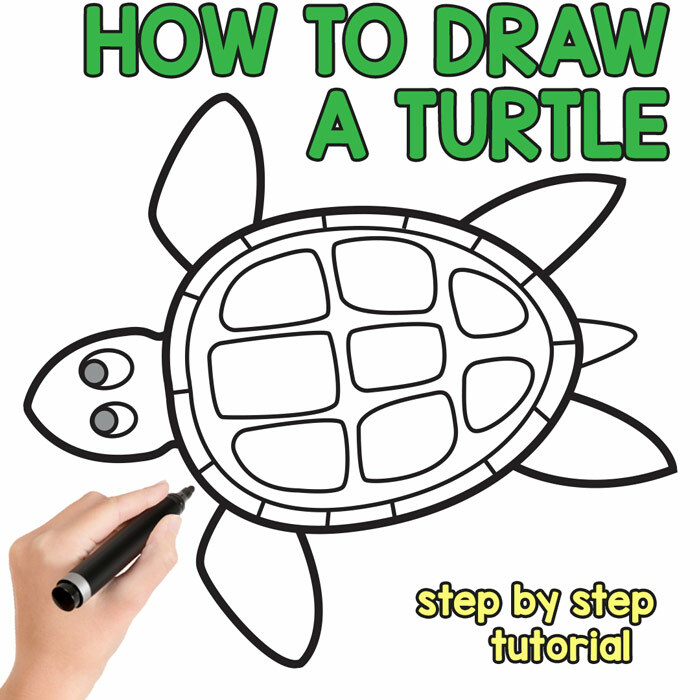 This time we are showing you a step by step tutorial on how to draw a turtle. 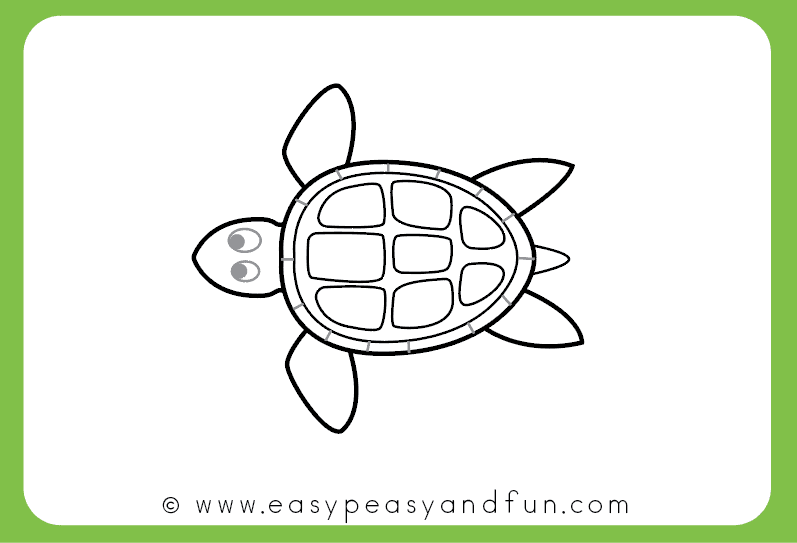 This tutorial will show you how to draw a turtle swimming and it’s perfect for beginners of all ages – from kids in preschool and kindergarten to grown ups who are just starting out. We’ll be drawing turtles, the sea dwelling ones, leaving tortoises for another occasion. 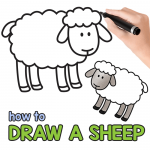 This is a super simple way to draw one, so you’ll be ready to draw them on your own in no time. 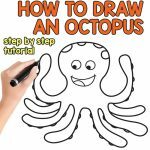 As with our other how to draw tutorials, this one too comes with a printable drawing guide you can print and give to your kids. 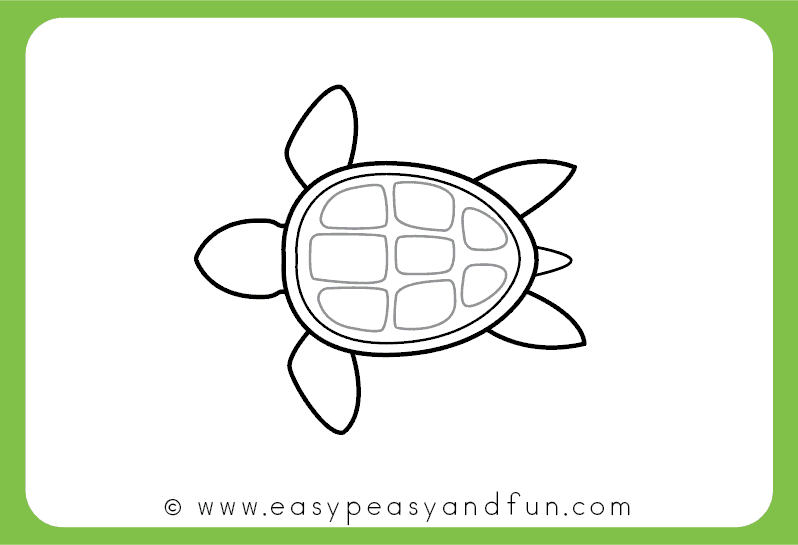 This turtle is next in our how to draw ocean animals series, and we’ve done quite a few of them already (do you know how to draw a dolphin yet?). Ready to give it a try? Let’s draw! 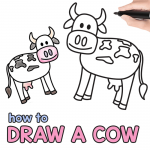 This is a super easy drawing tutorial so it’s a perfect one to use in the classroom. 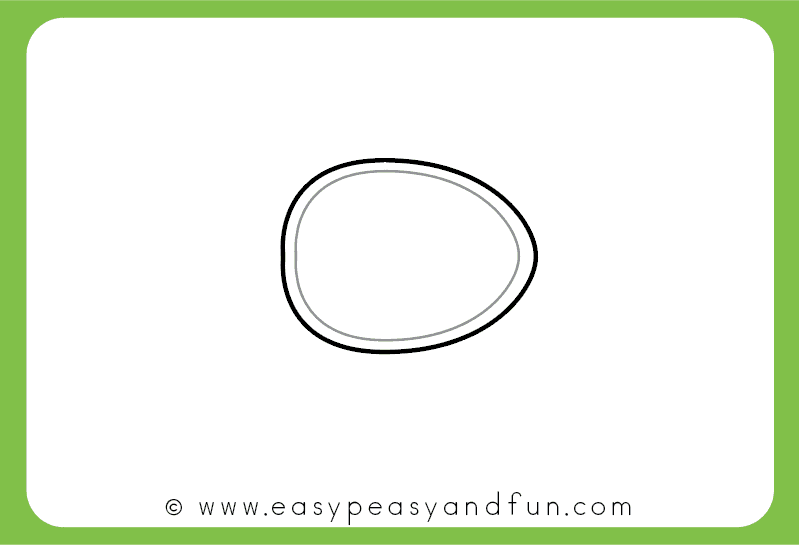 Print our directed drawing template (you can find it at the very end of this tutorial) for kids to use. 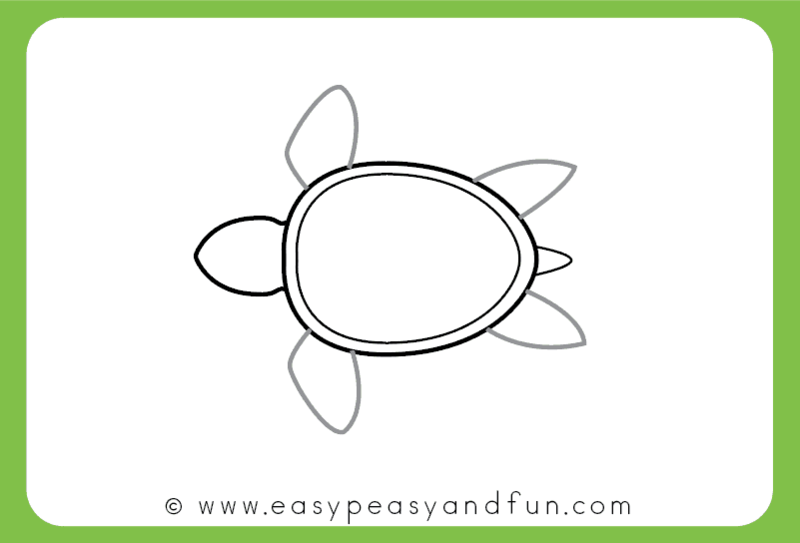 Start by drawing an oval shape for the turtle shell. Inside that oval shape draw another one. 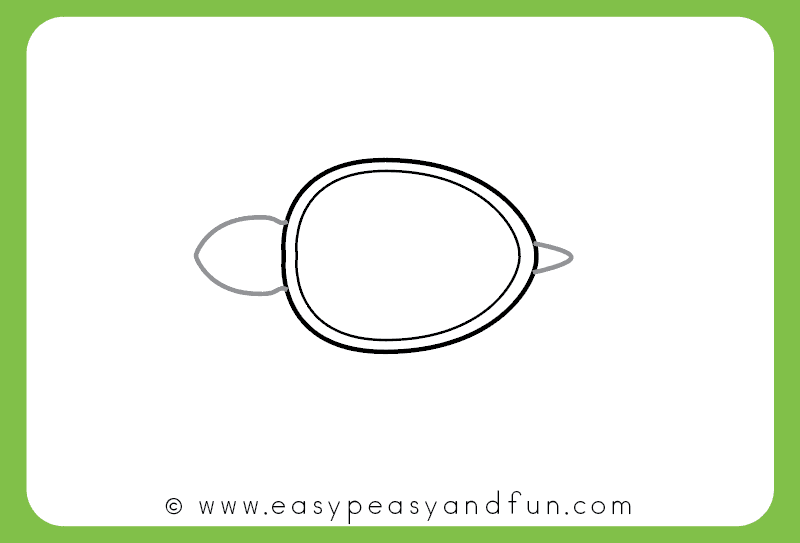 Draw a head and a tail. Next draw legs (well flippers), start with the first pair and then make another one. Now to add some details to the shell. 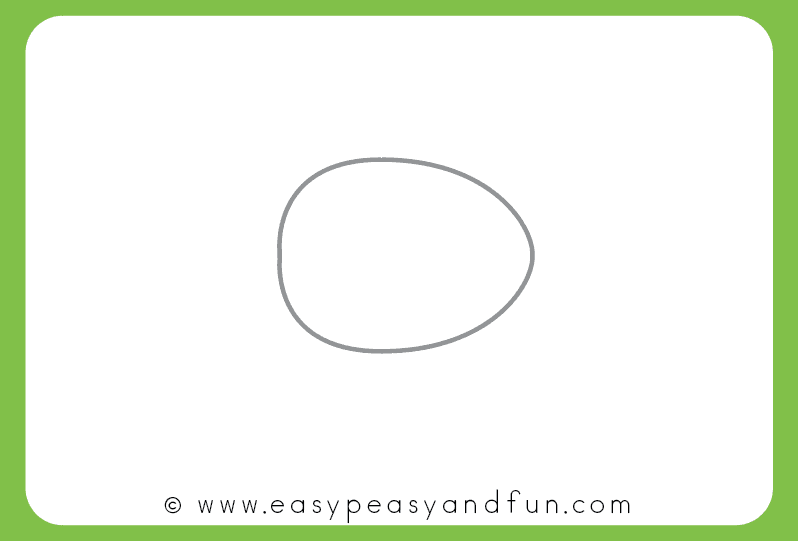 Last but not least, draw the eyes and a few lines along the edge of the “inner” oval shape. 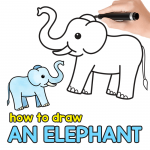 Congratulations you just learned how to draw a turtle! Now go ahead and color it! Thank you This is awesome. The kids loved it.